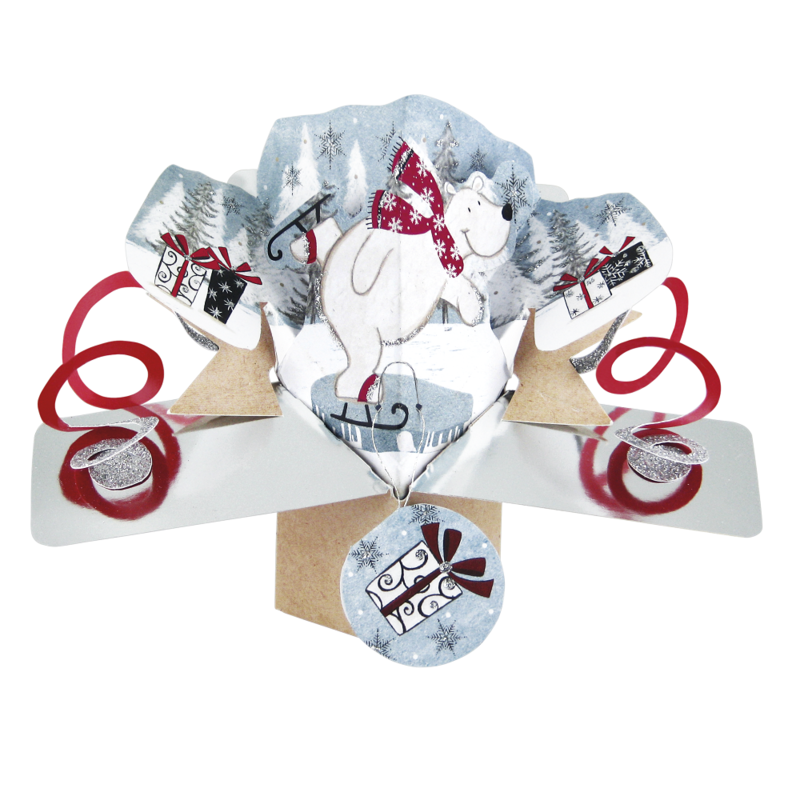 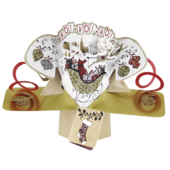 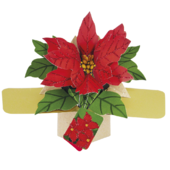 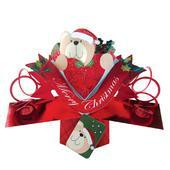 Not just any card, this award winning pop up greeting card jumps to life from it's envelope. 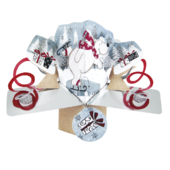 Petite's can be used as a tree decoration, they feature a hanging string to hang them on the Christmas tree, each one has over 30 folds & cuts and is held together with an elastic band which "triggers" the pop up to open when removed from it's envelope. 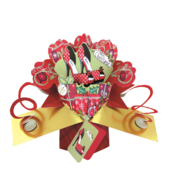 Just close the pop up flat and write your message in the space on the side of the card or on the tag provided before placing in the envelope for sending.